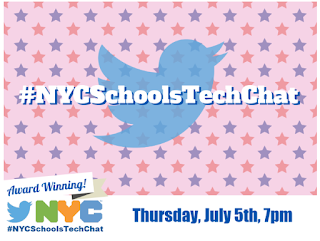 Join us for our monthly #NYCSchoolsTechChat on Thursday, July 5th at 7 pm EST. During this month's chat we'll reflect on past #ISTE experiences and prepare for #ISTE19 taking place in NYC's backyard right in Philadelphia, PA.
Here’s a fun question. #ISTE19 is in Philly. What must we do, see, eat? If you could only attend one day or two days which are most important? Why? Have you ever noticed a post on Facebook where rather than seeing responses to the post, instead the thread is cluttered with folks indicating "following" or "f." Stop doing that. Instead, just turn on notifications. This way the content stays rich and clean and you get straight to the information you were trying to learn. So, if you don't want to come off as the bad guy, just share this post in a group where this is an issue and help all those passionate group members get to the heart of the matter. Innovative educators know they have to update classroom management strategies in the modern classroom. Here are twelve strategies to do just that. While Internet Explorer has joined the "product graveyard," Microsoft Edge has entered the scene as more than the standard web browser. Innovative Educators will appreciate the learning tools and extensions proven to improve reading comprehension, strengthen writing, level the playing field for struggling learners and help teachers personalize learning in less time. Learning Tools are built into the Windows 10 Edge browser. 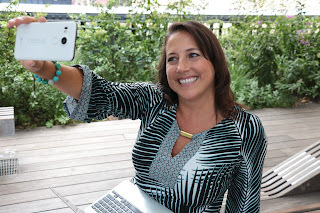 They allow your device to read aloud text using a voice of your choosing. The tools also allow for content to be accessed via "Reading View" which increases text readability by removing distracting content, adjusting font and line spacing, as well as identify syllables and parts of speech. 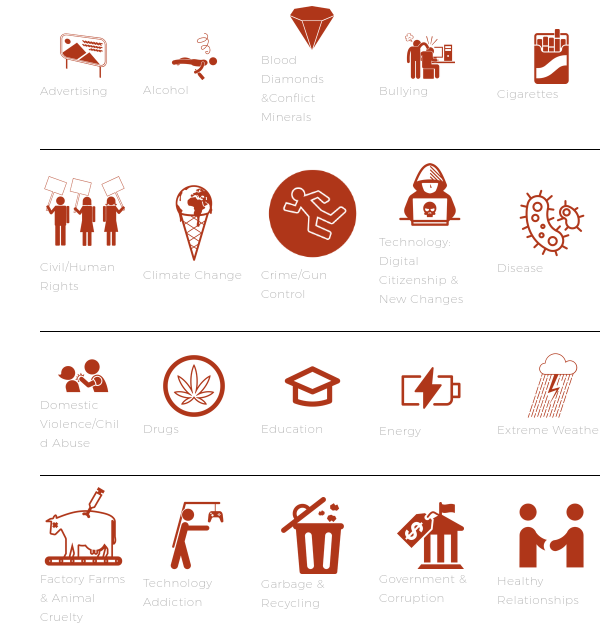 Here is an overview of some of the features and benefits. In the next several screenshots, I will share various ways students and teachers can use Edge to enrich teaching, learning, and make content more accessible. When you add an extension like Grammarly you have a tool that will check spelling and grammar. It will also define and give synonyms for any word. Just double click. Right click on any word to begin read aloud. Next you can adjust the speed and add voices. This is the screen where you add voices. I selected Catherine from Australia. It's important to notice when the screen is reading to you, the line it is reading is highlighted and the word it is reading is emphasized. If you have students for whom English is not their first language, you can use the translation feature to read the text aloud. We all know that machine translation is not perfect, and that's okay. It still helps make language much more accessible than without it. Do a lesson on this with students to help them do as good of a job as possible to make meaning of what they're reading. Reading view, in the address bar, provides a clean and simple layout with fewer distractions. You can change the reading view style (light, medium, or dark) and font size to customize the reading experience. Here is another view. Notice also that as it reads in this view, the spoken word is highlighted. 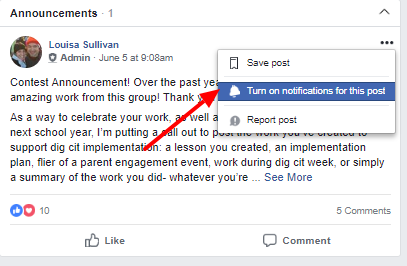 You can help students limit distracting notifications by selecting "Focus Assist" in the action center. Using the "Grammar Tools" accessible from the "Reading View" you can choose to have syllables and parts of speech (nouns, verbs, adjectives) displayed. Teachers will enjoy being able to be untethered from the board in the front of the room with the ability to annotate a web page right from Edge using the pen shaped "Write Notes" tool. The tool allows you to highlight, draw, add comments, and then save or share the screen with others. To unteather use Skype to share your screen (or that of a student or expert) with the projecting device. This video highlights some student feedback on using learning tools. What do you think? 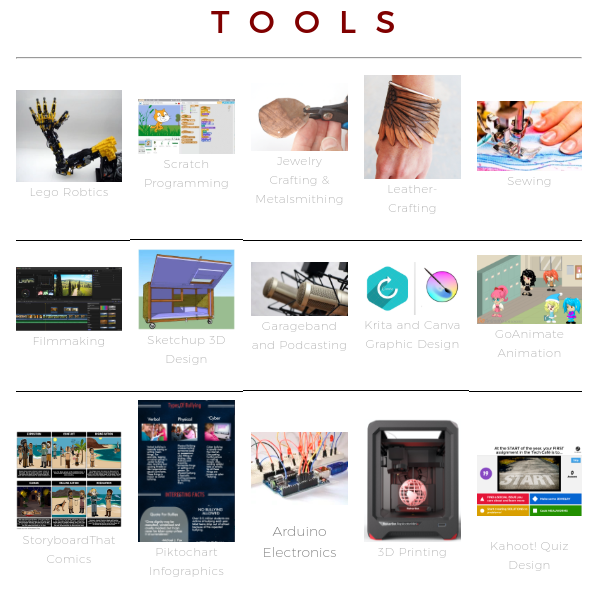 Are learning tools something that could be helpful to students where you teach? How do you see using this in your practice? 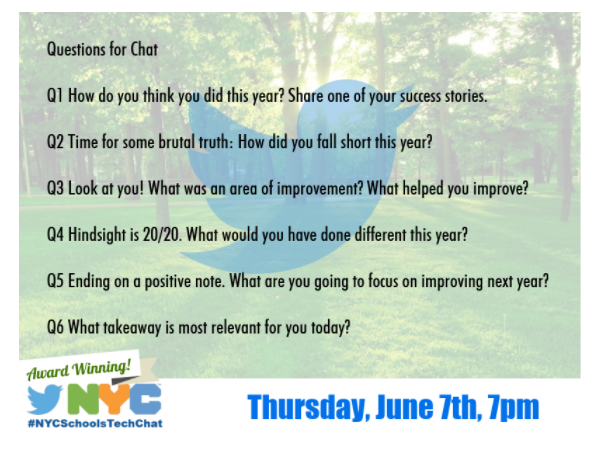 Join us for our monthly #NYCSchoolsTechChat on Thursday, June 7th where we'll be giving ourselves a report card: How do you think you did this year? 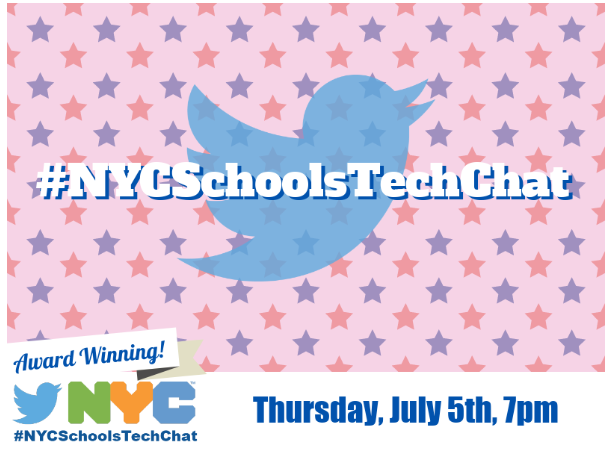 Join the #NYCSchoolsTechChat as we discuss the good, bad, and the ugly from the 2017/18 school year.